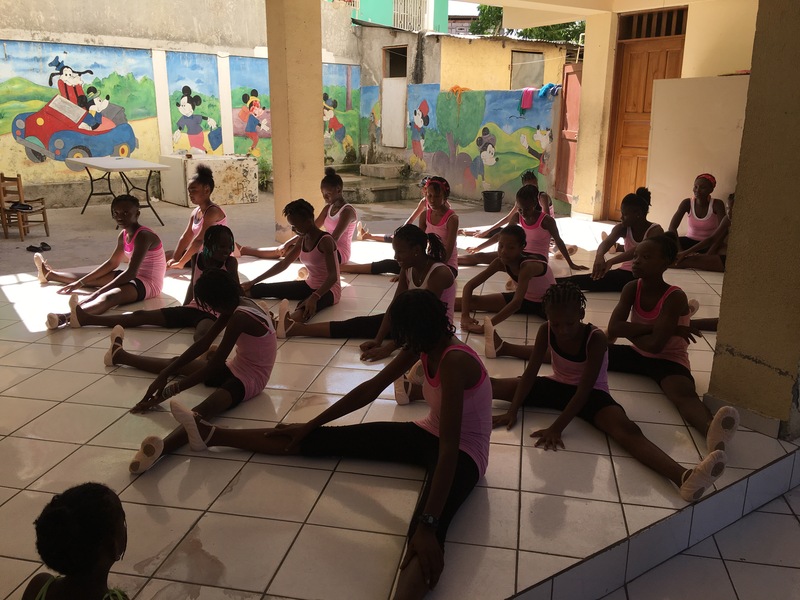 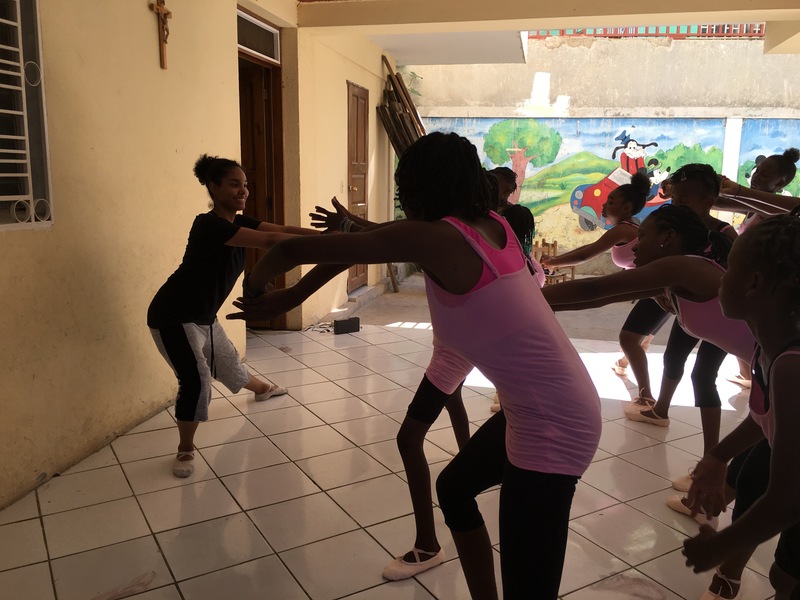 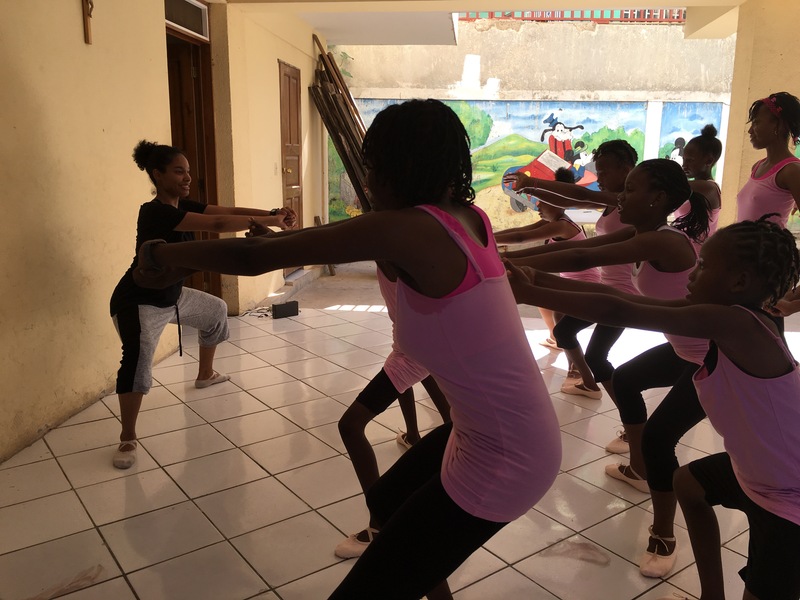 On Monday, June 20, Sr. Desirè began her ballet classes with our young girls. 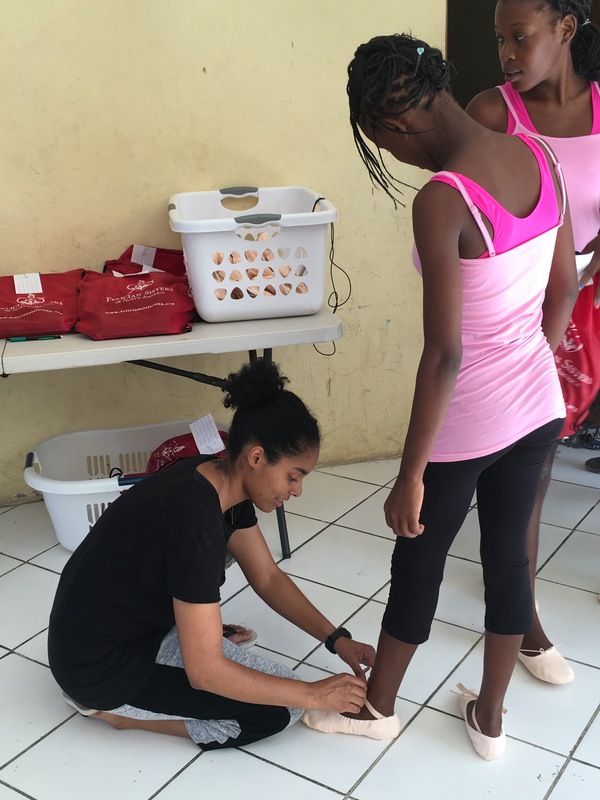 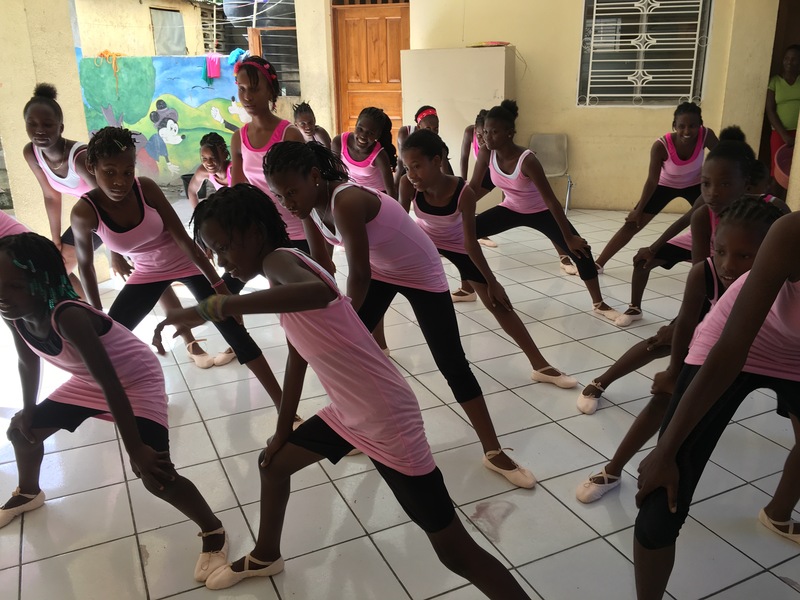 She came prepared with dance clothes and ballet shoes, which she had received as donations from her many friends who knew she was coming to Haiti. 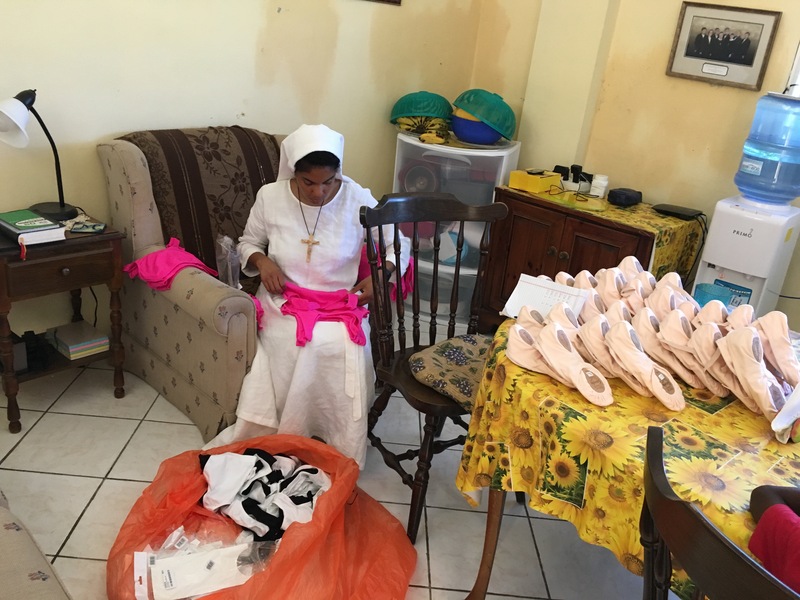 In the morning, she prepared the sizes and made individual bags so each girl would receive her own set of dance clothes. 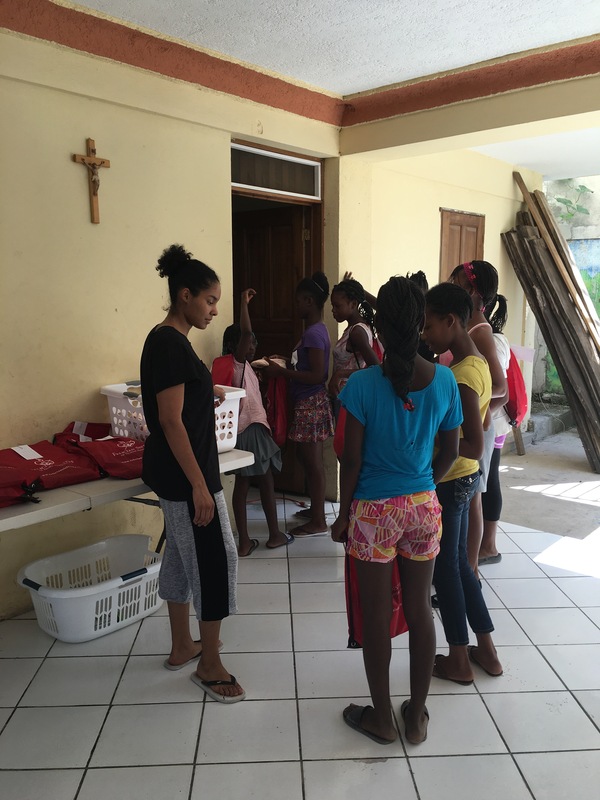 When the girls received their individual bags, they were very excited and felt special. 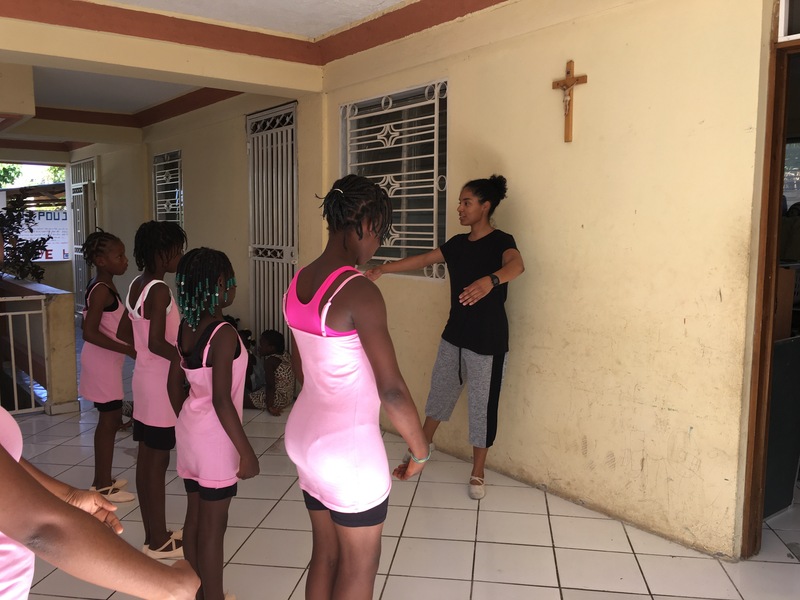 They all changed and were ready to begin. 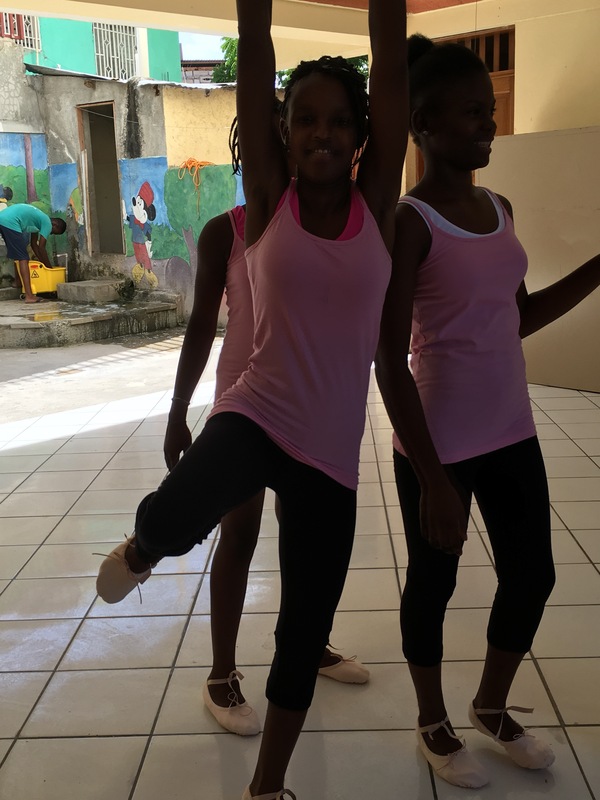 They learned the first five positions of ballet for their first class. 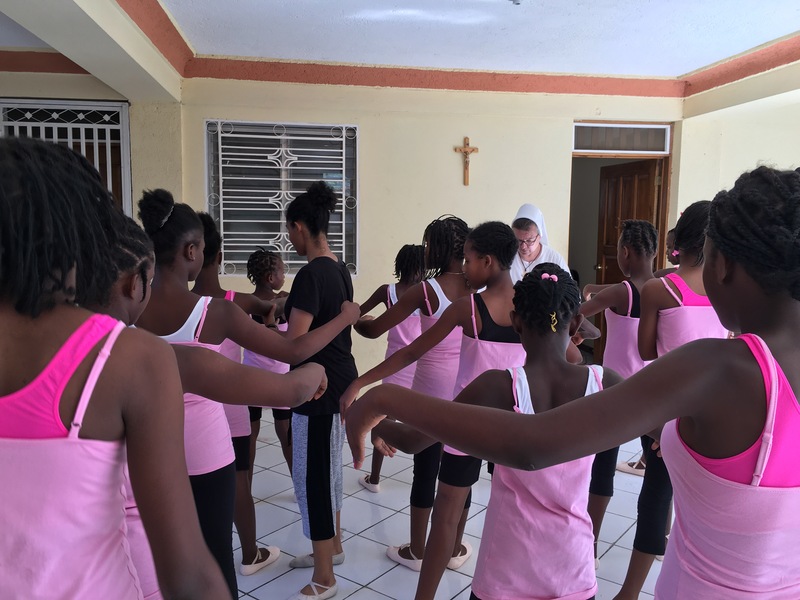 They will meet Monday through Thursday every afternoon.